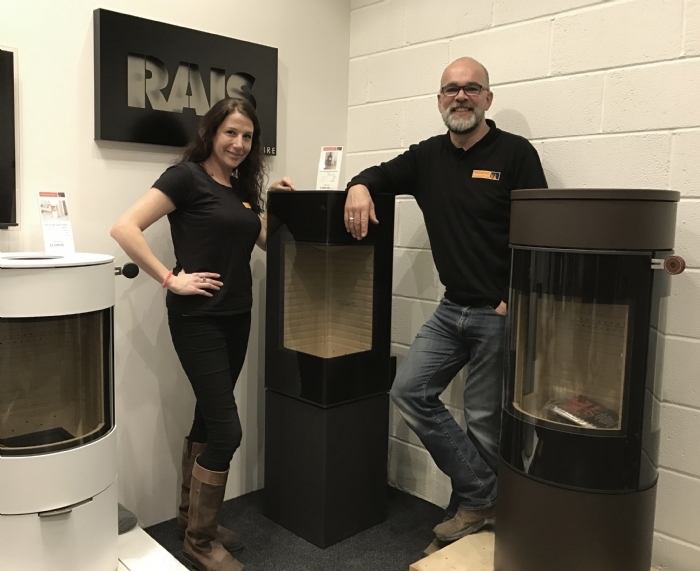 Rais,(pronounced Rice) is a leading Danish manufactures of wood burning stoves whose driving force is quality and design. Rais have chosen Kernow Fires to represent their designer brand in Cornwall. Known for their exceptional engineering, modern technological design and high quality, Rais has a range of products which exceeds the bench mark of other manufacturers. This unique range also allows the clients to customise elements of the fire for it to fit with their home. Rais fires are at the forefront of technology. You may ask “Can we really change how a fire works?” Well the answer is “Yes” Clever Air, developed by Rais, ensures that the fire always gets the right amount of air to burn cleanly and efficiently at all times. This system benefits the environment and provides more heat from your logs as they burn at an optimal level. Pop into the showroom in Wadebridge to view the range.